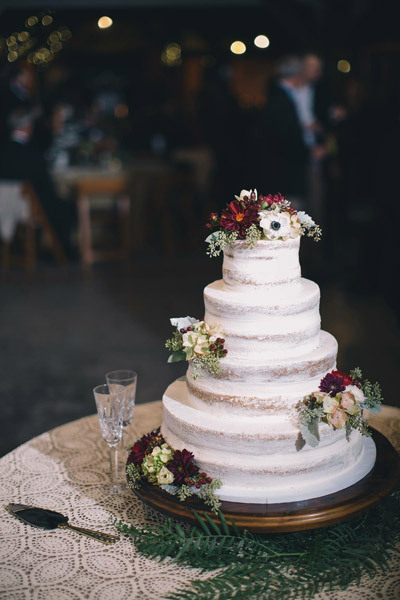 The Cake Shop Bakery has been creating beautiful, traditional wedding cakes for years. We welcome our brides and grooms to come into our bakery and browse our photo albums and get inspired. We also provide walk-in brides with a vanilla or chocolate cupcake for a taste testing and other flavors are available during your scheduled consultation. 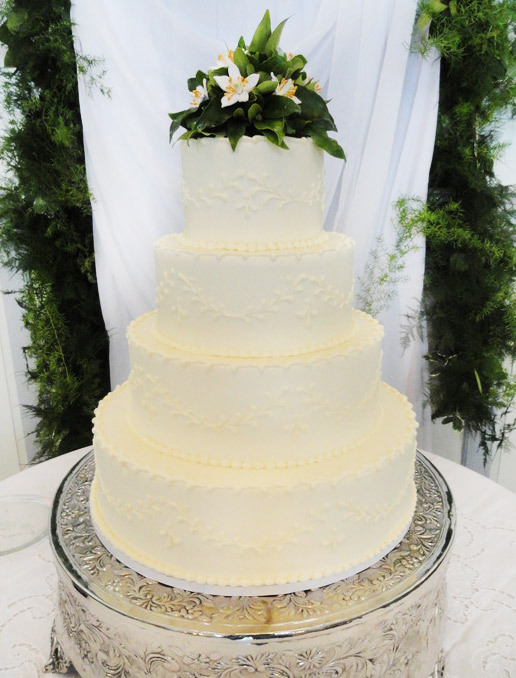 Wedding cake prices start at approximately $4.00 per serving although the pricing depends on the design, flavor and complexity of the cake. We are unable to quote a final price until we have met with you. We work with buttercream icing exclusively and our talented cake decorators hand draw the designs of your choice (with some restrictions of course.) 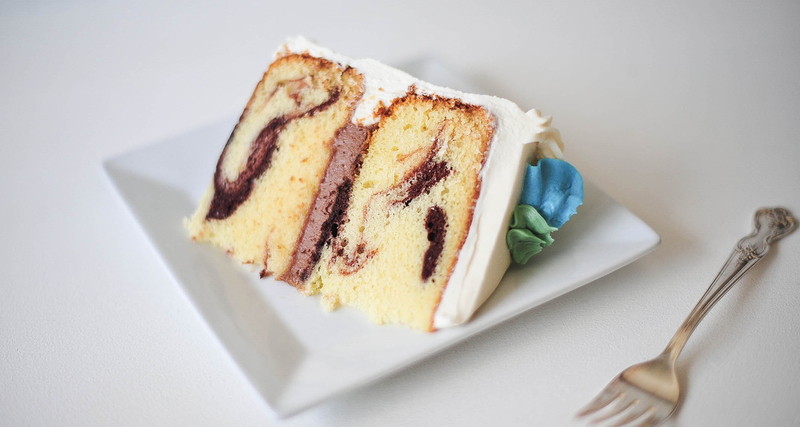 We are known for our tasty, traditional yet elegant designs. What is your first step? 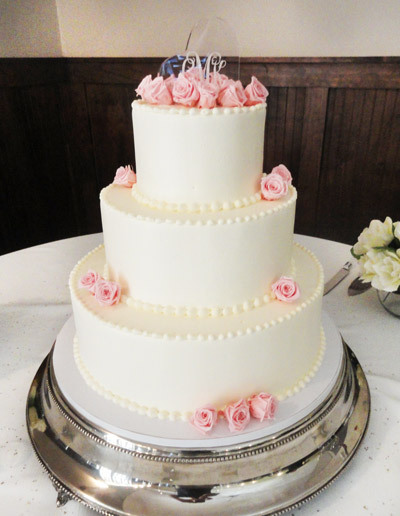 Please email Weddings@TallyCakeShop.com for prices, estimates and to schedule a consultation. We look forward to serving you! 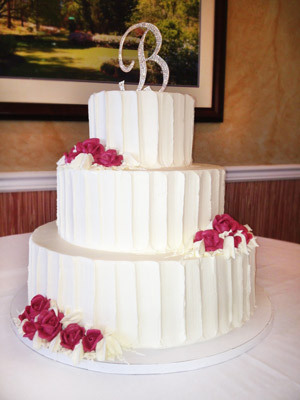 Email Weddings@TallyCakeShop.com to schedule a consultation.